Yellow House Events | Good Lookin Kids Inc. Yellow House Events | Good Lookin Kids Inc. If you want to run the same old boring event, this is likely not the agency for you. 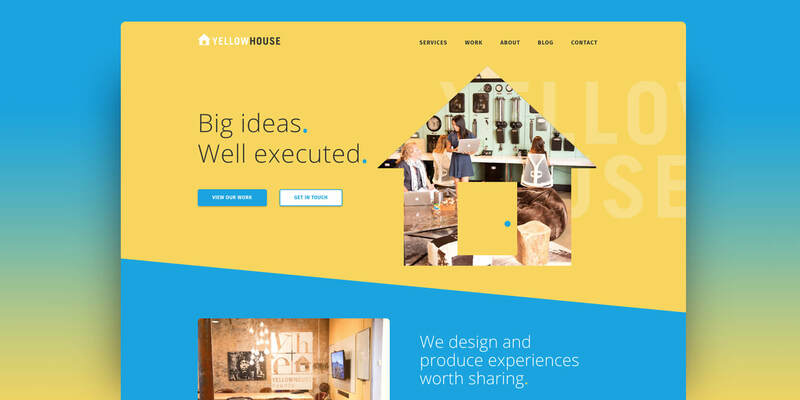 Yellow House Events specializes in the unboring. They refresh, redesign and rethink events and activations to ensure talk-worthy, share-worthy experiences that resonate with modern audiences. GLK’s first project with YHE was a complete website refresh. We worked to improve their User Experience, create an adaptive site for multiple devices and bring design cohesion across their branding collateral. After successfully completing YHE’s internal design needs, the work keeps coming! GLK and YHE have formed a partnership for all graphic and web design needs for events and activations for clients including Amazon, Instagram, Facebook and Intuit. Check out our Blog for more details on these collaborations.